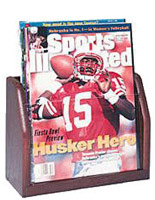 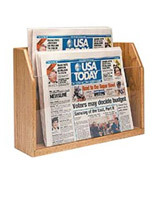 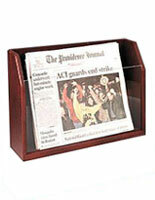 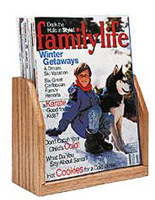 Hardwood Magazine Rack - This magazine holder has a single pocket. 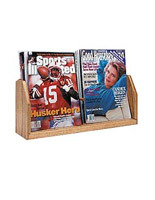 This oak magazine rack is great as a magazine display in your office, lobby or at your cash register to grab that last second impulse buy. 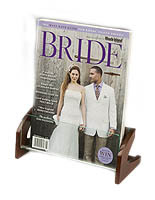 A medium oak finish and a clear acrylic front make this wood magazine rack a sturdy and appealing countertop display. 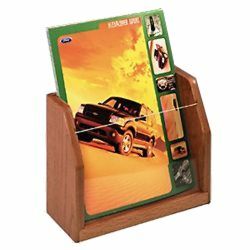 It is designed to accomodate your 8.5" wide x 11" high literature. 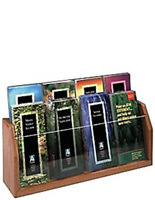 The front acrylic panel supports your literature, however we do not recommend flimsy, single sheets of paper prone to "flopping over".